5th and 6th April 2019, a linked two-day event with the ETH Forum Wohnungsbau. 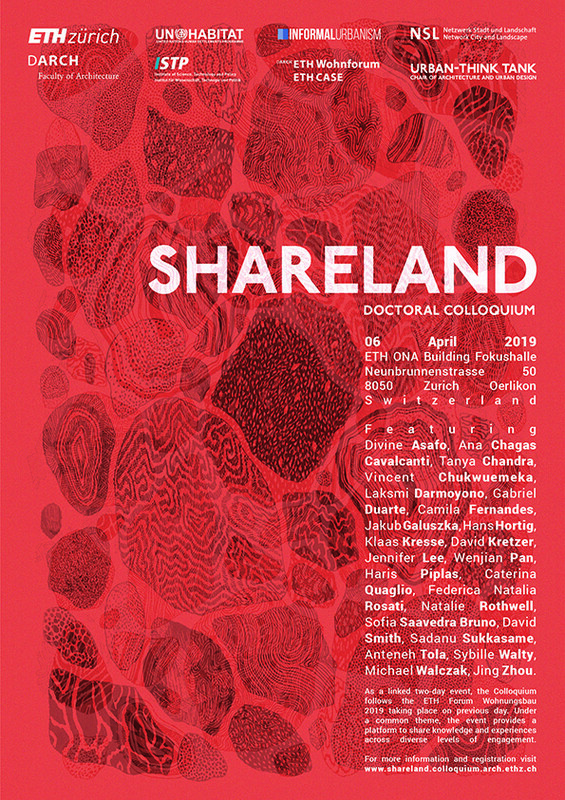 Featuring an interdisciplinary panel of 24 PhD’s and Post-Docs engaging with the topics ‚Sharing‘, ‚Co-Creating‘, and ‚Dwelling‘, the Shareland Doctoral Conference will debate new frameworks for understanding cities, housing, and land distribution today. 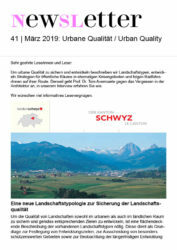 Sign up for the colloquium on 6 April 2019 at ONA ETH Zürich to attend the sessions, alongside expert critics including Claudio Acioly, Kay Axhausen, Jacqueline Badran, Sascha Delz, Jennifer Duyne Barenstein, Christophe Girot, Marie Glaser, Tanja Herdt, Hubert Klumpner, Matt Nohn, Saskia Sassen, Daniela Thurnherr, Milica Topalovic, Weijen Wang, and Christian Werthmann. Access to land – serviced land in particular – is critical for sustainable urban development. 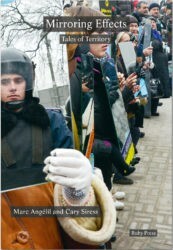 The availability of land will determine the way our cities and neighbourhoods will grow, develop and expand; whether they will be able to absorb demographic growth, and how they will cope with the pressure for new uses and demands from businesses, services, entertainment, housing, transportation, conservation and beyond. 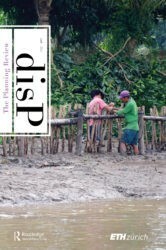 In an era of pervasive social inequalities and renewed attention to the scarcity of our common resources; of increased environmental risk and of mass extinction of species, where land for housing will become an even more valuable but limited asset, our approaches to land accessibility and distribution require urgent attention. Unprecedented migration patterns – voluntary and forced displacements – further exacerbate asymmetries. While the urban core and central districts of global cities today boast high standards of living and are provided with innovative transport systems and infrastructure networks, peripheral districts repeatedly struggle with low density, commuting traffic, and an inadequate access to of services and jobs. As continuous urban growth only deepens the divide between social groups according to resource accessibility, the question emerges: what alternative approaches, policies, and ideas are possible? Responding to this challenge, the SHARELAND Doctoral Colloquium will be linked to the ETH Forum Wohnungsbau, taking place on previous day, April 05th, 2019. Under a common theme, the two-day event will provide a platform to share knowledge and experiences across fields and levels of inquiry. The colloquium will bring academic rigour and propose ideas within international and national frameworks, while also providing participants with the chance to share and discuss their work with both their peers as well as internationally renowned practitioners. More information on the ETH Forum Wohnungsbau 2019.